About Harold F. Wachtel, Jr.
Wachtel Capital Advisors, LLC is one of the preeminent independent financial planning firms in New Jersey as a result of its unique approach to servicing the needs of clients from many walks of life. It is our goal to inspire our clients to achieve true wealth through education, communication and service that exceeds expectations. 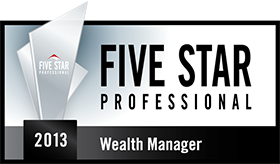 We are one of the most decorated firms in New Jersey having been presented the prestigious Five Star Wealth Manager Award and featured in New Jersey Monthly Magazine three of the past four years. In exploring our web site you'll see how Wachtel Capital Advisors, LLC places a heavy focus on financial education and understanding, which is different from other firms. We prefer to develop a long lasting, trusting relationship with our clients where we sit on your side of the table, not across from you. 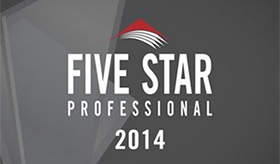 Our Clients – We recognize that without our incredible clients, life would be much different. Helping to solve both complex and common planning problems successfully for clients of various economic backgrounds has helped us quickly build a happy and successful client base whom kindly and confidently refer us to their family, friends and co-workers. Our Belief - Providing an unbiased, objective and thorough approach to both protection planning and wealth management has helped our clients feel confident that we truly do plan for their best interests at all times. Our Results – WCA’s strong growth has been because of the trust and confidence we've earned based on results we've achieved for clients. Our Culture - Privately owned and independent, we are singularly focused on helping our clients achieve their goals and conduct all planning with a sole focus on our client’s best interests. Please take as much time as you’d like to browse our website. We believe you will find a number of useful pieces of information regarding various areas of financial planning and our firm. We sincerely appreciate the time you have taken and hope to hear from you soon. each a registered investment advisor. Securities offered through APW Capital, Inc., Member FINRA/SIPC.